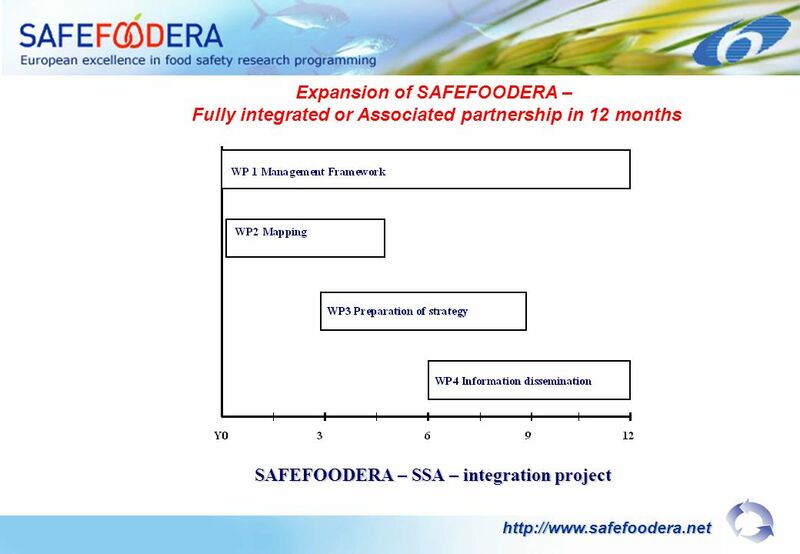 Download ppt "SAFEFOODERA – SSA – integration project Expansion of SAFEFOODERA – Fully integrated or Associated partnership in 12 months." 1 TRANS-IN-FORM in Suwałki Murmansk, February 5, 2008 TRANS-IN-FORM in Suwałki Murmansk, February 5, 2008. 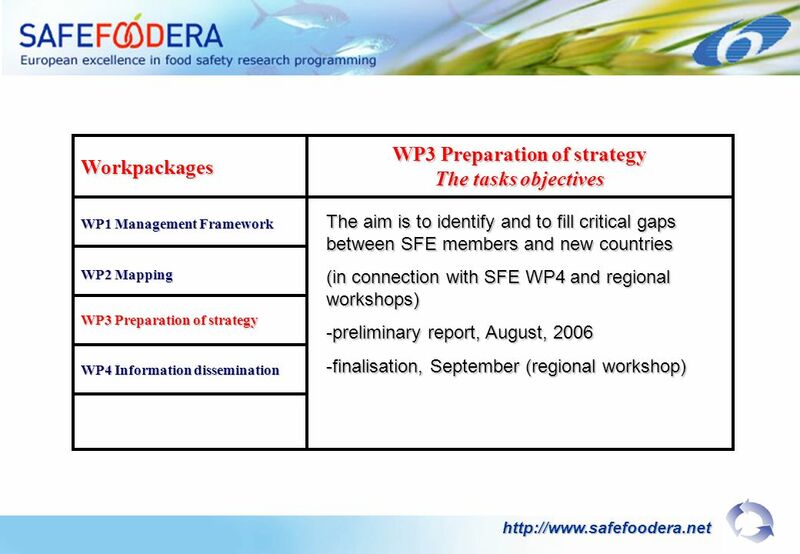 SAFEFOODERA WORKSHOP Food Safety Research Ideas Forum 30 th October 2006 Increasing the Impact of National Research Programmes through Transnational Cooperation. HLCM PN WG Harmonization Procurement Process and Practice Harmonization in Support of Field Operations Status Update JFBO Meeting, May 24, 2011. 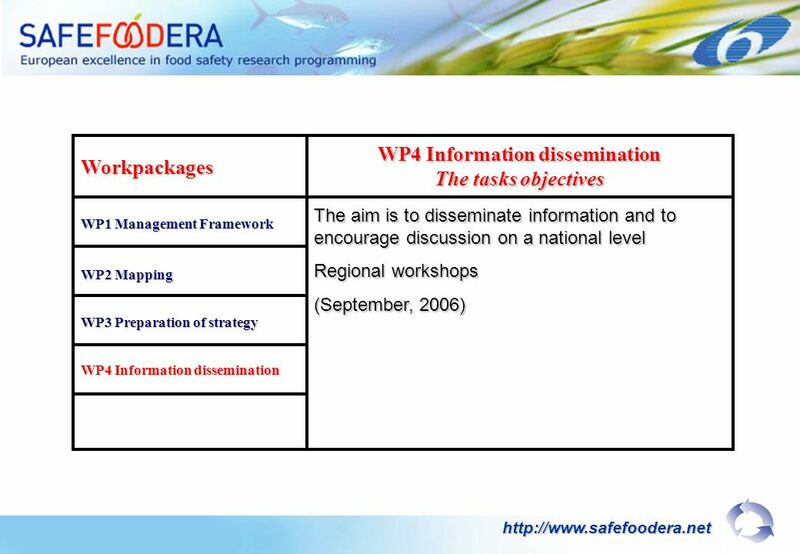 Cultural Heritage in REGional NETworks REGNET Project Management and Coordination. 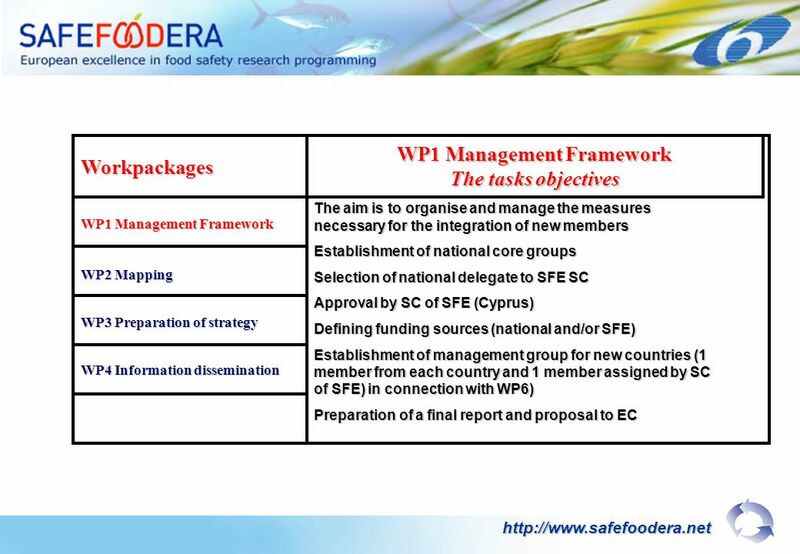 Cultural Heritage in REGional NETworks REGNET WP2: Implementation of the System and Preparation of Services and Product Generation Structure and deliverables. 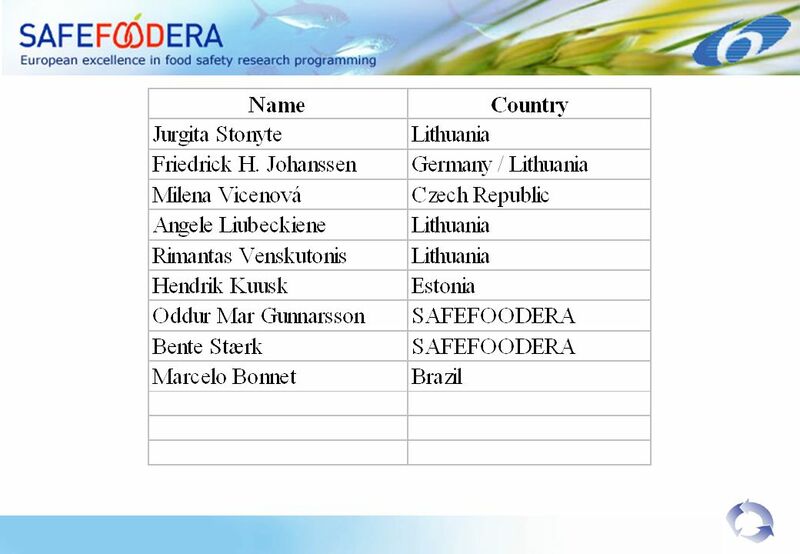 MeDON: Welcome and aims of the meeting Tim Smyth. January 9, 2007Kick-off meeting, Brussels1 Kick off meeting with the EC January 9, 2007 Brussels, Belgium ERA TENDER Tender 13A – OJ 2006/S (SMART. 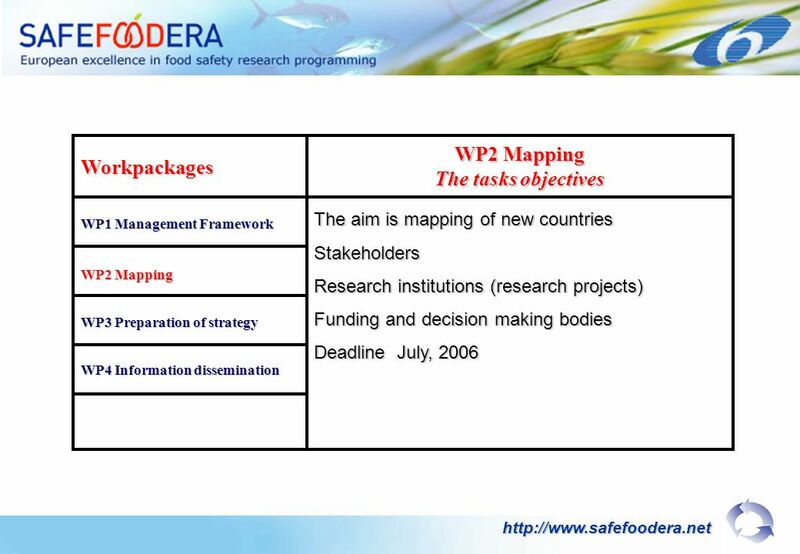 ANCIEN Key tasks and deadlines agreed at the Third workshop - I WP1 – the synthesis of the Country reports (The Book Chapter) March 2011 – WP1 Policy Brief.